Our eyes can say a lot about us. They have even often been referred to as the windows into the soul, however, they don’t just give you a preview of the soul. Your eyes can actually tell you a lot about your physical health! 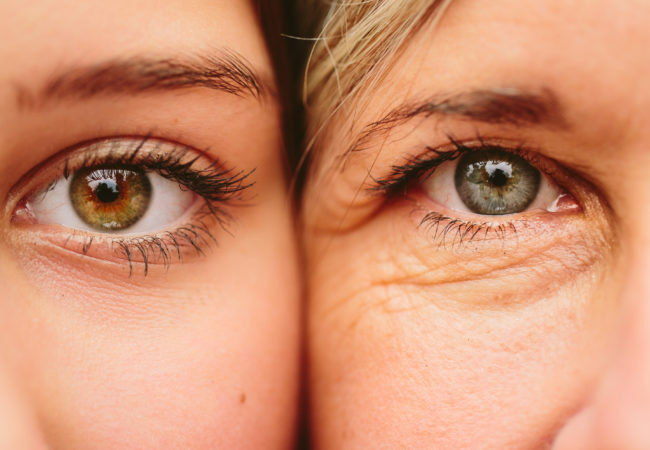 Your eyes can tell you lots about your physical health, but it isn’t just the eyeballs that can do this. By paying attention to the entire area surrounding your eyes, you can figure out a lot about your health. If you have noticed that your eyebrows are thinning from the outer edges in, you might be a sufferer of Hypothyroidism. Sometimes growths can appear around your eyes and most of the time they’re nothing, however, they can sometimes be cancer. They can also arise from the oil glands around your eyelashes but will go away after about a month. However, if the bump comes back and persists, you should seek medical attention as soon as possible. A gray ring around your cornea is an obvious malfunction. It can be rather scary when you notice this because of how conspicuous it is. Although you shouldn’t be afraid, you should be greatly concerned. This is often a sign of high levels of triglycerides and high cholesterol. Ignoring this can often lead to a heart attack or stroke. Blurred vision is an extremely common side effect of prescription pharmaceuticals, however, if you’re not taking any you should be concerned. This can be an early indicator of diabetes, due to an excess of glucose being washed over your eyes. Bulged eyes can also be a big indicator of hypothyroidism. It can also be an indicator hyperthyroidism. A brown spot on your eyelid can be an indicator of cancer. If you notice a dark spot around your eyelids goes to the doctor as soon as possible. Although it might be malignant, it isn’t a risk you’d want to take! If you aren’t feeling too well lately pay attention to your peepers! They can tell you a lot about your health, soul, and spirit. The human eye is amazing, and there is much to be learned about them.